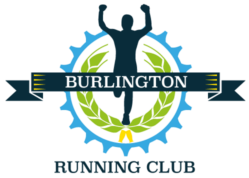 I have decided to be a member of Burlington Running Club (the “Club”). I acknowledge that running in and volunteering for runs, events, and races with the Club are potentially hazardous activities that may result in injury or death. I, therefore, voluntarily and willingly assume all risks, whether known or unknown, that may be associated with being a member of the Club including, but not limited to, the following: falls, contact with other members, the effects of the weather (including, but not limited to, extreme temperatures, high humidity, rain, hail, ice, sleet, and snow), traffic, and the conditions of the road or trail. I agree that I will not participate in any Club events, runs, or races unless I am medically able to do so and properly trained. By my signature, I certify that I am medically able to perform all activities associated with the Club and am in good health, and I am properly trained. I attest that I have read the rules of the Club and agree to abide by those rules, which include, but are not limited to, the right of any official of the Club to deny or suspend my participation for any reason whatsoever. I further understand that bicycles, skateboards, roller skates or roller blades, animals (other than dogs) are not allowed to be used in Club activities. The Club permits members to bring a child(ren) who is (are) secured in strollers or a leashed dog(s), but any member who brings a child(ren) and/or a leashed dog(s) bears full responsibility for any harm, injury, or damage that (1) the child(ren) and/or dog(s) may cause to others as well as (2) may befall the child(ren) or dog(s). Having read this waiver and in consideration of the Club’s acceptance of my membership, I, for myself and anyone entitled to act on my behalf, voluntarily, knowingly and unconditionally waive and release Burlington Running Club, its parents, subsidiaries, affiliates, insurers, reinsurers, retrocessionaires, predecessors, successors and assigns, and each of their respective officers, directors, agents, managing agents, employees, independent adjusters, stockholders, and representatives from any and all liabilities, claims, rights, debts, causes of action, suits, matters, issues, damages, costs, expenses, injuries and demands whatsoever, whether at law or in equity, known or unknown, discovered or undiscovered, actual or potential, accrued or unaccrued, liquidated or non-liquidated, contingent or absolute, including, but not limited to, any and all claims for negligence and/or gross negligence, which I ever had, now have, or hereafter can, shall or may have against Burlington Running Club or its parents, subsidiaries, affiliates, insurers, reinsurers, retrocessionaires, predecessors, successors and assigns, and each of their respective officers, directors, agents, managing agents, employees, independent adjusters, stockholders, and representatives either directly or indirectly, individually, representatively, derivatively, by virtue of subrogation, or in any other capacity, related to, arising in any manner from, related to, or in any way connected with my participation in the Burlington Running Club. I grant permission to all of the foregoing to use my photographs, motion pictures, recordings or any other record for any legitimate purposes for the Club. If you are under 18 this form must be filled out by your parent/guardian.